I think as parents, we can all agree that we'd love our children to be brave and courageous. We want them to be fearless, or at least to push forward and go after what's right or what they're working for in spite of any fear they might have. Being brave means being vulnerable, bold, and daring, in both little and big circumstance. Dig into these books to find wonderful examples of bravery and to learn what it really means to be brave! I absolutely love this book. The illustrations are so beautiful and unique, and the message is even better. I love that it shares the message of unconditional love, that the parent will love whoever their child grows up to be. The book also talks about having courage, kindness, boldness, and loving others. Such a sweet book, one of my favorites!!! "Manny stood up. And then he did the bravest, most courageous, kindest thing he ever could have done. He said: Stop It." Manny is a super hero after school every day, wearing a different color cape and conquering the fiercest monsters his imagination can devise, but it turns out his invisible cape he wears to school is the most powerful. The power and confidence practice and imagination can give you, and the reminder that once you stand up for someone, others will most likely follow and back you up is comforting, and who knows when you might make a new best friend. The illustrations in this book are modern and fun, and the message is spectacular. My favorite part of this book are the strong message to believe in yourself. Throughout the story, Calib saves the day only by having courage and believing he can do it. Watching Calib grow in his confidence makes this book so rewarding, not to mention all the adventure and suspense involved! An epic new middle grade series in the tradition of Redwall and Poppy, based on Arthurian legend and told from the perspective of Camelot’s most humble creatures: mice Young mouse Calib Christopher aspires to be a Knight of the Round Table. For generations, his family has valiantly led the mice who live just out of sight of the humans, defending Camelot from enemies both big and small. But when a new threat arises—one that could catch even the Two-Leggers off guard—it's up to Calib and his friend Cecily to unmask the real enemy, unite their forces, and save the castle they all call home. With the sweeping adventure of New York Times bestselling series like Wings of Fire and Warriors, Mice of the Round Table brings to life a legendary world of animals and magic that kids will want to return to again and again. This is a delightful book about being ready to take the next step. Jabari has finished his swim lessons and tests and is (almost) ready to try the high dive. His father is reassuring and encouraging, but not pushy as Jabari works up his courage. The story plays out in beautiful illustrations in washed-out hues, like a hazy, humid summer day, at a public pool in a sprawling park with skyscrapers in the background. With multiple illustrations on some pages and abundant white space around them, Cornwall builds suspense as Jabari climbs the many rungs of the ladder and walks out to the edge of the board. This gentle and reassuring book is perfect for reading aloud. I love this book! The catchy, rhyming verse keeps readers moving through the action with a sense of purpose, no hesitating as the firefighters rush into burning buildings to bring people out. In boldly drawn illustrations in primary colors with black and white the firefighters are shown moving through all their responsibilities from preparation, to fire fighting, to heading back to the station. There is a little dalmatian to be spotted on nearly every page. I love the way this book teaches respect for people in dangerous first-responder jobs. Sheila Rae is brave, even fearless, taking great risks like stepping on every crack in the sidewalk and walking backward with her eyes closed. She even growls at dogs, but when she gets lost on her way home from school, her courage falters. This is a great book for talking about courage and fear and stepping up to help someone else face their fears. I love that each of Kevin Henkes characters is unique and likable. Yea! Yea! Sheila Rae! "If you want things to change, you first have to change YOU!" This little mouse, tired of feeling small and insignificant determines that in order to be seen and make friends he needs to be more like the ever-popular lion... he needs to learn to roar! Conquering his fear of becoming the lion's dinner he goes looking for a teacher and finds a friend! The illustrations for this book are totally awesome and utterly expressive, and I love the rhyme scheme! A bestselling Golden Book about fire engines and fire fighters is now available as a sturdy board book. This exciting, classic story, originally published in 1950, has captivated generations of children with its you-are-there feel. 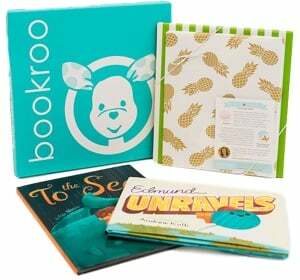 Our new sturdy board book edition will withstand repeated readings and car trips! Chiro, a young bat, is nervous about flying into the world for the first time without his mother, especially on a very dark night, but he soon learns to rely on his "song" to find his way and stay safe.